The benefits of AI are here but the pace of change is still relatively slow. 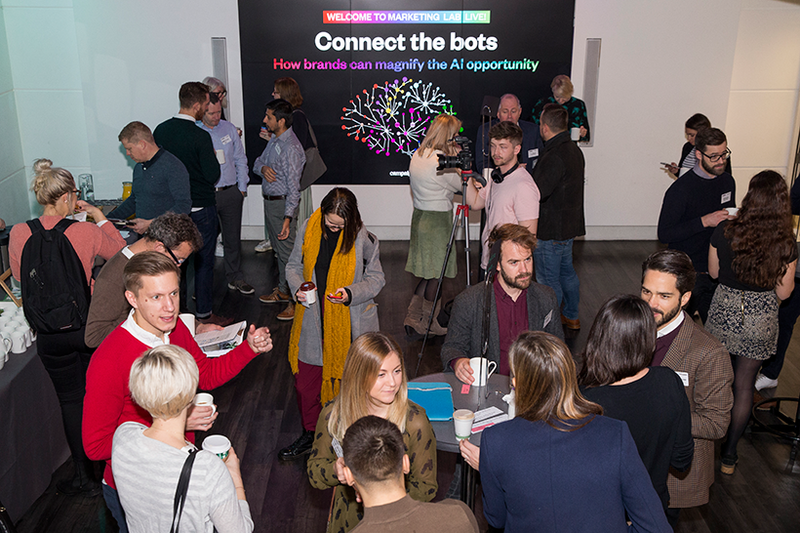 From ancient ales to connected cars, how can brands take the next steps to capitalise on the AI opportunity? "We are not thinking machines that feel, we are feeling machines that think," said Dév Rishi Sahani, Nissan’s global head of customer experience data and analytics. 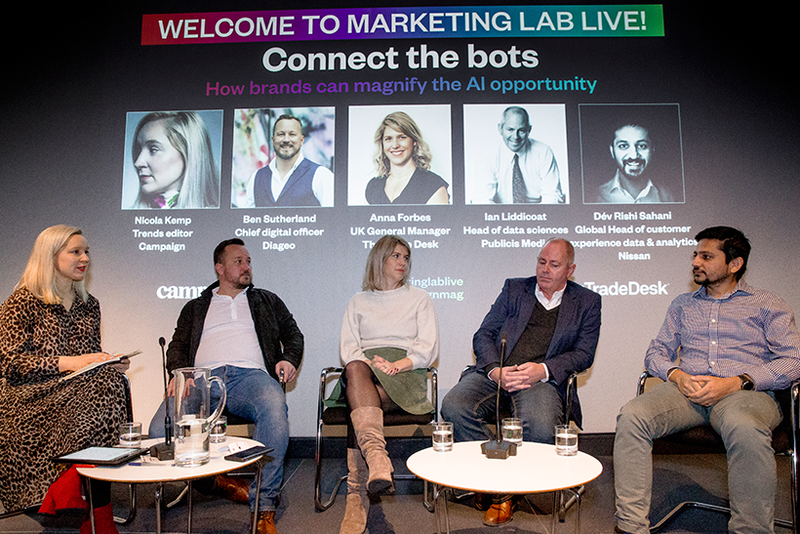 He was speaking at Campaign and The Trade Desk’s Marketing Lab Live panel event discussing how brands can magnify the AI opportunity. AI’s biggest opportunity, the panel agreed, is in cutting time spent on complex, repetitive tasks so that teams can invest more time on creative thinking. 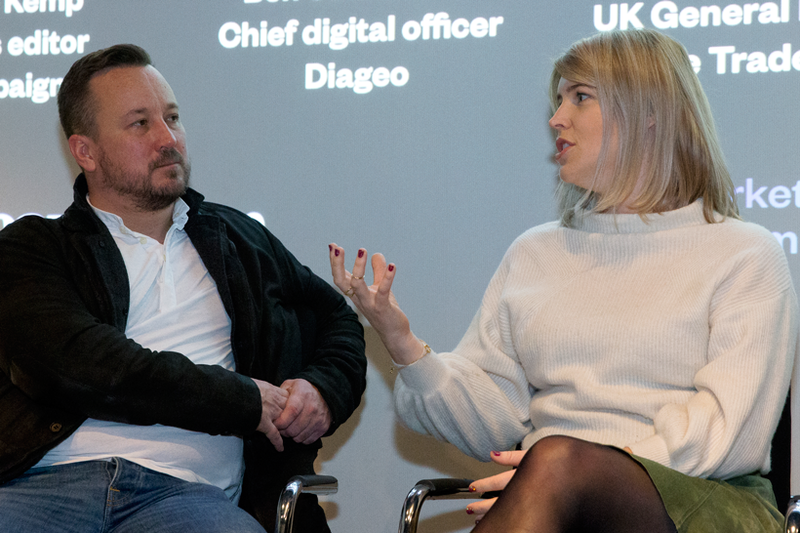 People must ask smarter questions, instead of chasing "interesting but not impactful" data, said Diageo’s chief digital officer, Ben Sutherland. AI leads to more strategical, tactical and in-campaign decision making by giving marketers simple choices that they can quickly turn into action. "If you can provide a great experience and interface with the fully transparent data you know they are going to ask some smart questions – and something different will actually happen," he said. It’s a special challenge for Diageo as they must constantly find new ways to keep heritage brands relevant – which, like Guinness, can be hundreds of years old. Sutherland advised that deep knowledge of market behaviour and customers is crucial for teams to know what particular business challenges to address. 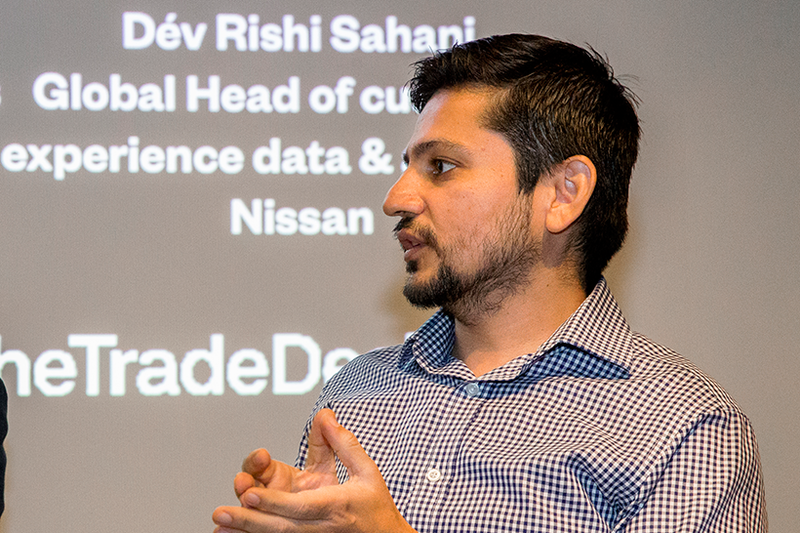 Rishi Sahani said that Nissan sets "very specific" goals around customer experience to connect on a personal level, particularly as more people shop online. Through things such as next-action recommendation models, Rishi Sahani explained that AI is helping Nissan shorten the customer journey and turn physical experiences into relevant digital experiences. "Creative teams can create three or four different ways to say something. All four things are right but how do you remove perception bias?" he asked. "The team can spend two months discussing it, or AI can instantly figure out what works, unlocking the potential of creativity." But you have to create learning models with a clear goal, he warned, creating models around what success looks like. 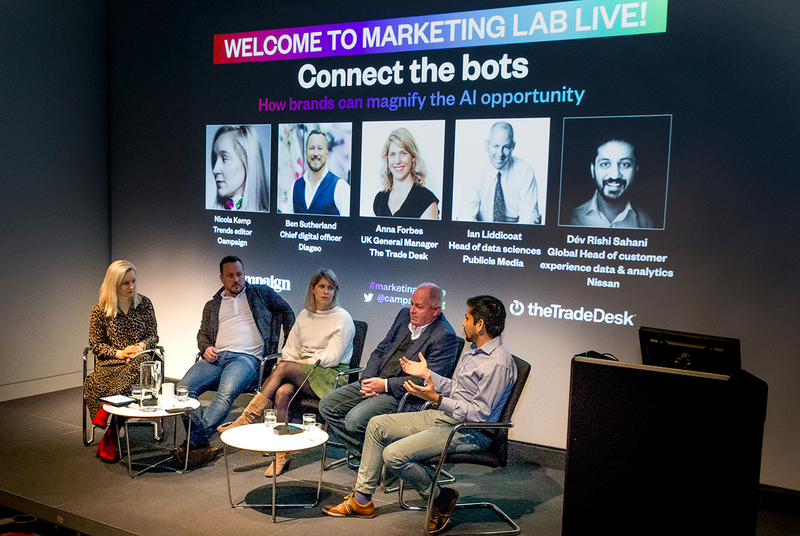 Anna Forbes, UK general manager at The Trade Desk, added that added that by continuing to focus on the right goals marketers will help drive AI adoption and reap the benefits. "Last click attribution, blanket viewability and completion rate metrics – we know they are not optimal and they encourage bad behaviour within the ecosystem," she said. "Sales data, purchase intent, brand uplift – these are metrics be need to be striving for." Ian Liddicoat, CIO and head of data sciences at Publicis Groupe, said he sees a "wholesale shift" towards AI, saying that any brand not investing heavily in this area is "way behind the curve". Liddicoat has seen machine learning bringing improvements of 30-40% with media and content – it has "revolutionized" media optimization, he said, and the same thing will happen in the creative development process. "We are allowing machine learning to say it’s this version – and it’s these features in this version – that are exciting this kind of consumer. That’s going to radically change the way creative agencies think, reaching smaller and smaller groups of consumers." So how best to capitalise on AI’s potential? Sutherland warned that creatives must not use AI to become "echo chamber", reinforcing previous decisions. AI provides a chance for brands to be more brave in how they engage new audiences. "It’s the role of the brand team to have those left-field thoughts and step significantly outside where they are," he said. Sutherland said, where businesses such as Nissan and Diageo are largely digitising experiences for consumers, brands must reconsider the value exchange between consumers and brands – the shifting landscape requires different skills. "The demand has never been higher," said Rishi Sahani, saying that there is no longer a real urgency to ‘sell’ the benefits of AI as the appetite is certainly already there, along with the solutions and technology. "Talent is hard to manage but it’s not that scarce," he continued. At a time when all the demand and supply is in place, but the pace of change is not as fast as it could be, Rishi Sahani said brands must take more risks. "It’s a ‘fail fast’ approach," he said. "Take chances, be brave, set priorities. What are the next three things you want to do? What do you want to be known for?" Have clear end-goals and create models around what success looks like for your brand. It will lead to tangible changes, not just interesting insights. Agency and Tech partners, can help explain exactly how to get machines giving the most useful, insightful recommendations. Deep knowledge of your customers is crucial to know what particular business challenges to address. Think about the brand experience you are offering, and how AI can help you make it shorter and smarter. Humans still reign when it comes to creative and strategy, but marketers should feel comfortable leaving the boring number crunching and data analysis to AI. Experiment with AI – implement a "fail fast" approach to help you make bolder decisions and stop recycling the same type of thinking. Rather than fight the rise of the machine, advertisers must teach them the right tricks and learn to work in harmony with them. Without the input of human feeling and emotion, machines will reach dead ends and struggle to find further solutions. The perfect collaboration between man and machine will help advertising reach the highest level of efficiency, insight and relevance.